Are you searching for efficient and effective Land Rover service in San Diego? John’s Automotive Care has what you need. Our auto mechanics are ASE-Certified or Master-Certified, and our auto repair shop is equipped with the highest-quality tools, equipment and parts. 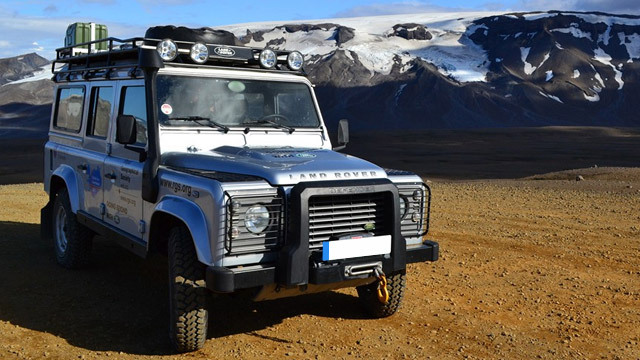 It is enough of a struggle finding an auto repair with expertise and experience necessary to service your Land Rover. Add honesty and heartfelt customer service to your search, and you may find yourself in an impossible situation. However, John’s Automotive Care is all that and more. We are the ASE/NAPA Technician of the Year, and a 36,000-mile/36-month warranty backs all Land Rover service. “John's Automotive has been servicing our business and personal vehicles for the last six years. The location is very convenient to our home, biz, and Kaiser Vandever if we're stuck there for something. John himself is very personable and takes a lot of pride in doing a great job. The office staff and technicians are helpful and excellent at keeping you updated on your vehicle's progress. Their prices are very fair, they can get you in quickly if it's a pressing issue, and they're able to provide dealership-quality service on quirky car issues at a much lower cost. They look at the things that you would see as a problem as more of a challenge and they will not rest until they get it fixed. Go to John's!” -- Bree Z. Land Rover owners, like you, know they can rely on receive stellar auto repair and customer service at John’s Automotive Care. Our highly-qualified and trained auto mechanics are leaders in the automotive industry. Our team consistently earns fantastic reviews and testimonials from satisfied clients and takes great pride that clients choose us as their leading auto repair service center. We hope that you choose us as your premier car repair service center, too.To schedule an appointment for your Land Rover auto repair service, call us at (619) 304-0815. Visit John’s Automotive Care at 6267 Riverdale Street, San Diego, CA 92120.